DAYTONA BEACH, Fla. (January 24, 2014) – Confirming a new relationship on the debut and opening day of the new 2014 IMSA TUDOR United SportsCar Championship, Park Place Motorsports team principals and officials from Hawk Performance Products Group announced today a partnership that will see Hawk Performance braking products join the Porsche team as its latest sponsor and technical partner. The Park Place Motorsports No. 73 Children’s Tumor Foundation/Racing4Research Porsche GT America of Patrick Lindsey, Kévin Estre, Mike Vess, Jason Hart and American factory Porsche Junior driver Connor De Phillippi will race with full Hawk Performance branding beginning with this weekend’s Rolex 24 At Daytona. The new partnership will see Hawk Performance work directly and hand-in-hand with Park Place’s technical team on brake pad and rotor development. Hawk will enlist the full knowledge and skill of the team’s technical and driving personnel to develop a premier racing product. Hawk has developed similar winning combinations through racing in other series, including Formula 1, and has now shifted the focus to premier GT and Prototype sports car racing classes. Lindsey and Estre will co-drive the No. 73 for the full 2014 IMSA TUDOR United SportsCar Championship season. In addition to the technical development and support, Hawk Performance will also provide its ample marketing, photography and video services and skills to Park Place Motorsports at 2014 racing events and beyond. The new partnership with Hawk, the ongoing relationship with Children’s Tumor Foundation/Racing4Research, and the team’s driver lineup and prospects for the Rolex 24 has Lindsey more than enthused about the 2014 season. 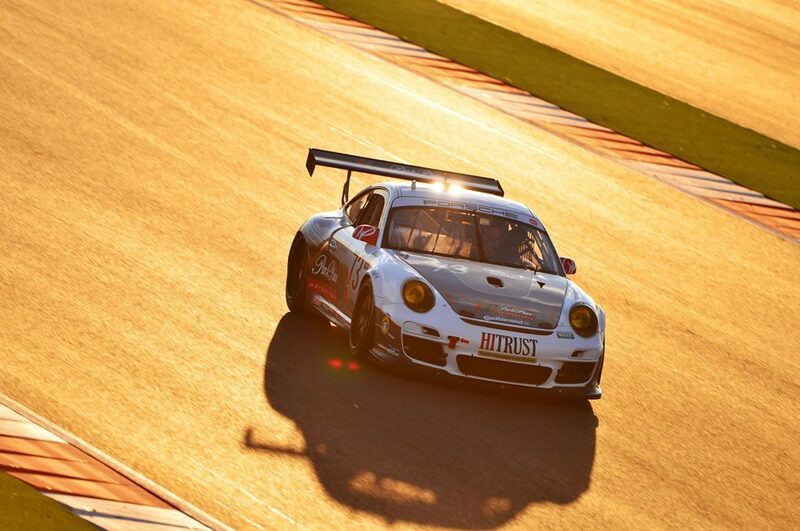 De Phillippi debuted as a Porsche Junior driver just last year. The San Clemente, California native won the Skip Barber National Shootout in 2008 and was the youngest winner and only second American to win the Walter Hayes Memorial Race in England. Vess is in his second year with Park Place Motorsports. Hart is also back for a second season with Park Place and was part of last year’s maiden Children’s Tumor Foundation/Racing4Research campaign with the No. 73 Park Place Motorsports entry. Mike Vess, Patrick Lindsey and I have raced together in the past so teaming up with them again feels great,” Hart said. “Adding top Porsche Cup driver Kévin Estre and factory Porsche Junior driver Connor De Phillippe to the lineup this year is a real treat. The strength and experience of our team and driver line up is sure to make us a contender for the Rolex 24 At Daytona win. Most importantly, we are looking forward to having all of our CTF families join our team and we will certainly put in 100% effort to get the “CTF Art Car” to the top of the podium. Park Place Motorsports is an extension of Dallas-based Park Place Dealerships, which represents upscale manufacturers Porsche, McLaren, Mercedes-Benz, Jaguar, Lexus, Bentley, Maserati, Lotus, Rolls-Royce, Volvo and Smart. Park Place Motorsports augments the unparalleled attention its dealerships provide by offering customers a premium level of support in relation to their motorsports activities. Services include maintenance and repair, driver and racecar support, and parts engineering and distribution. These offerings are authentically promoted by Park Place Motorsports’ flagship GT Daytona team in the TUDOR United SportsCar Championship. Uncompromised braking performance products for your street car using the technology obtained through our vigorous racing activities to provide our customers, be it for a street car or a race car, the best car control and improved performance possible. Hawk Performance – Race Proven, Street Legal #whatsstoppingyou? Low vitamin D is the number one diagnosed disease in adults with 66% of Americans having low vitamin D. Many health issues including cancer occur more often with low vitamin D. The Vitamin-D-Pro app was developed by expert physicians to help you understand your vitamin D status so you can be healthier, feel better, and live longer. Available in the iTunes store and Google Play. Park Place Motorsport is powered by Horton Autosport.